SSI True frameless shower enclosures with Acid-etched pattern are an effective and even opulent way to personalise a luxury bathroom. We can assist with the design process from start to finish to ensure the desired result. 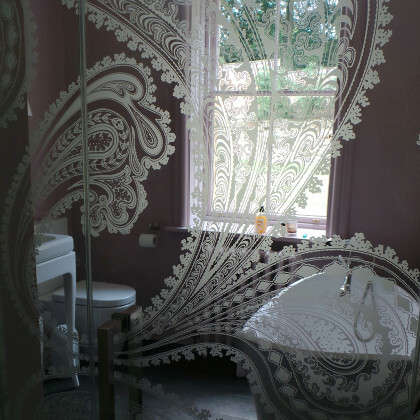 Acid etching on to glass is often confused with sandblasting, (which is used to create modesty sections) but it is a completely different process that, by definition, uses acid applied on to the glass to remove a thin layer from the surface to leave an extremely fine, detailed frosted finish. 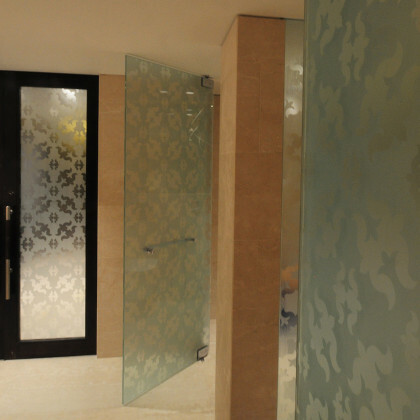 This process is very specialist and usually reserved only for when extra detail is required. 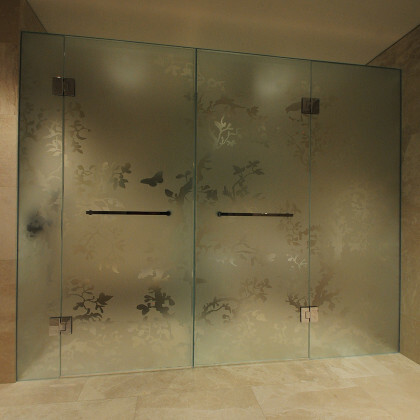 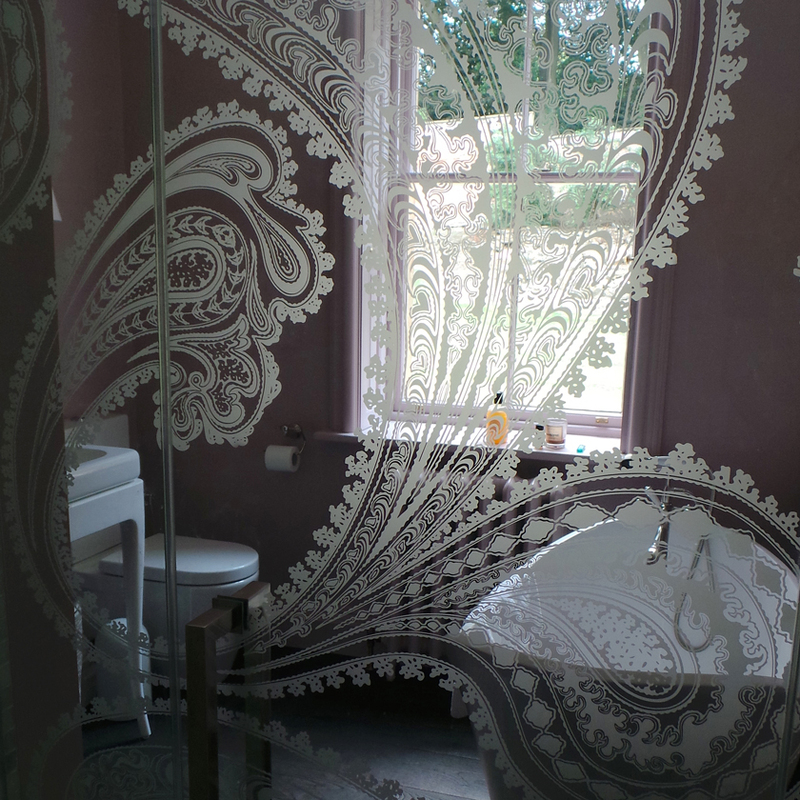 SSI True Frameless does an expert job of surveying and installing frameless glass shower enclosures incorporating acid-etched patterns with stunning results.